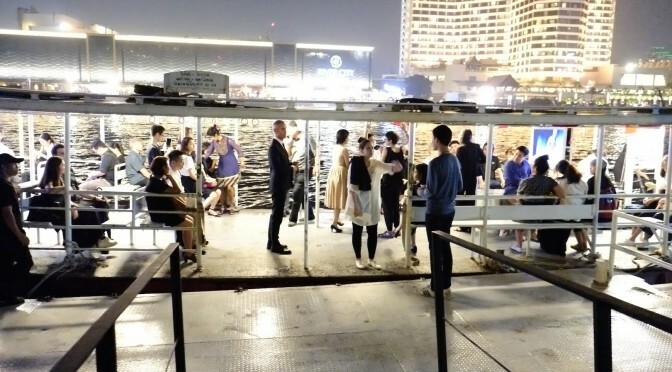 For the sixth time in Bangkok, Galleries’ Night will invite art lovers and gallery hoppers to discover art spaces in the city of angels at night with more than 50 galleries to visit! 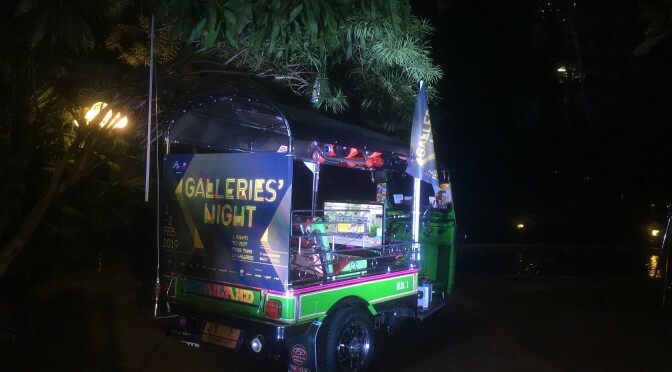 Getting from a gallery to another one by our dedicated Tuktuks, the audiences will enjoy contemporary artistic unique creation and special events that will organized for only these two special nights. 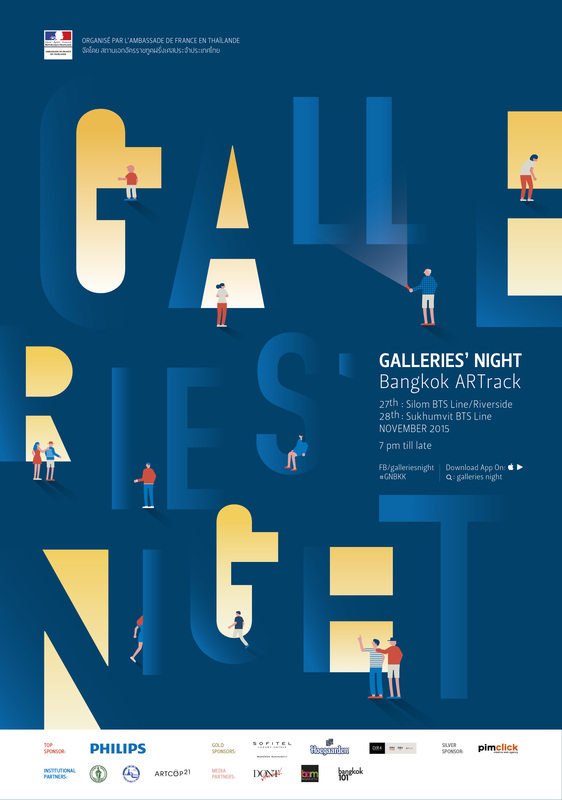 For the fifth time in Bangkok, Galleries’ Night will invite art lovers and curious people to visit more than 50 galleries in Bangkok. 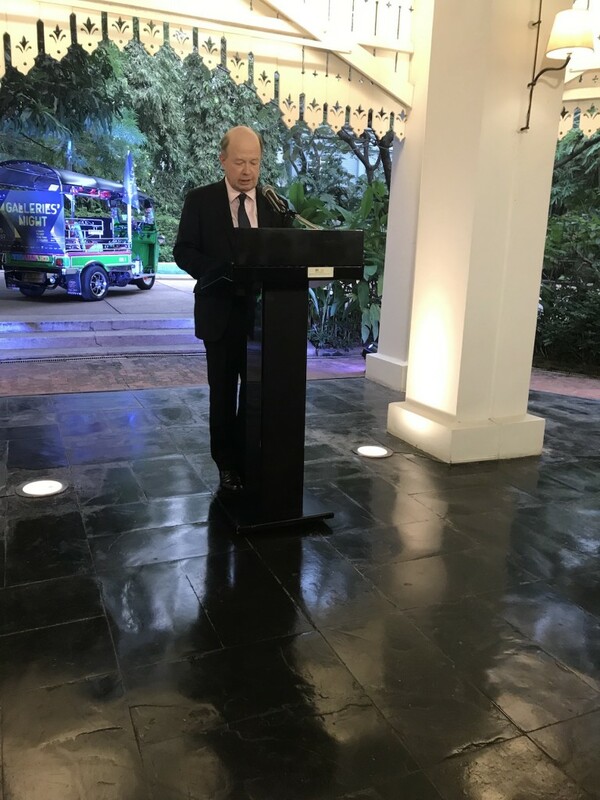 Getting from a gallery to another one with dedicated tuktuks, the visitors will enjoy contemporary artistic creations, exhibitions, special events and much more. 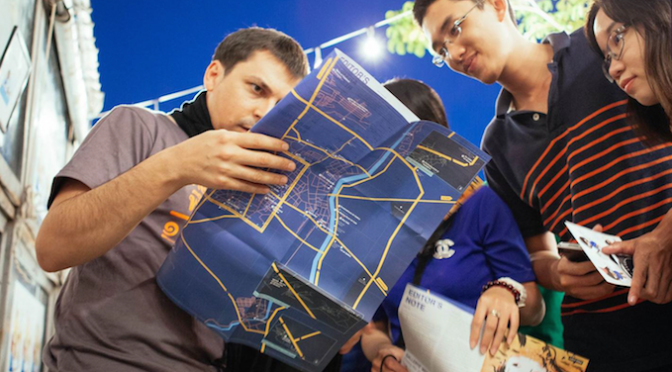 In 2017 more than 8 000 visitors joined the adventure, this year we are expecting more than 14 000! 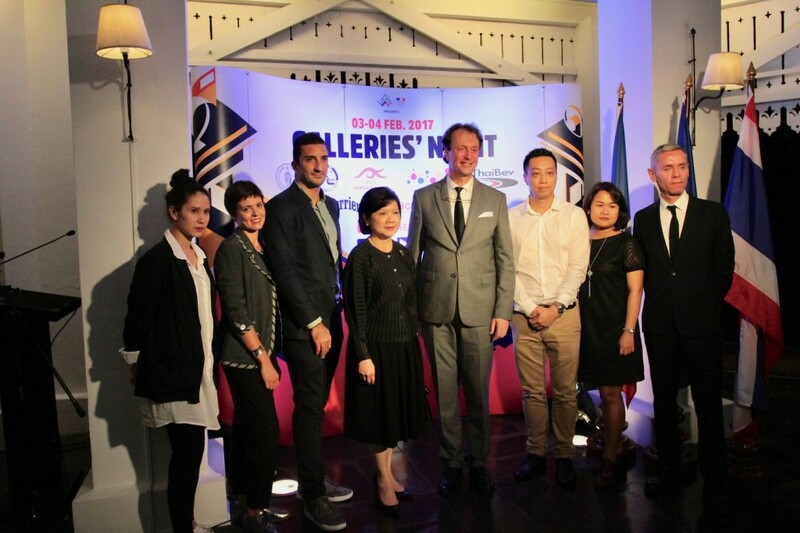 One of the most important events of the annual cultural program “La Fete”, Galleries’Night, organized by the French Embassy of Thailand, is returning for the fourth time, helping to promote contemporary art and highlighting dynamic creativity, introducing new experiences and pleasures, small and large to the public. 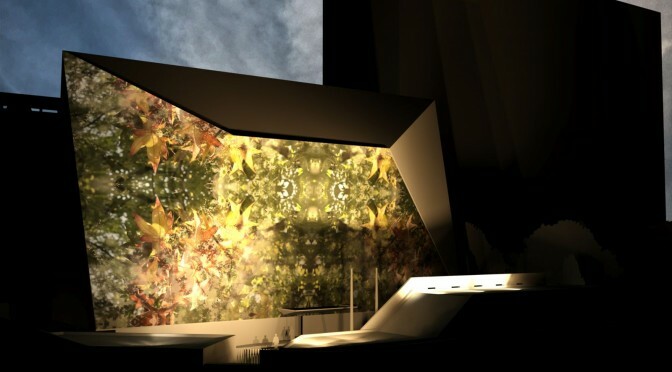 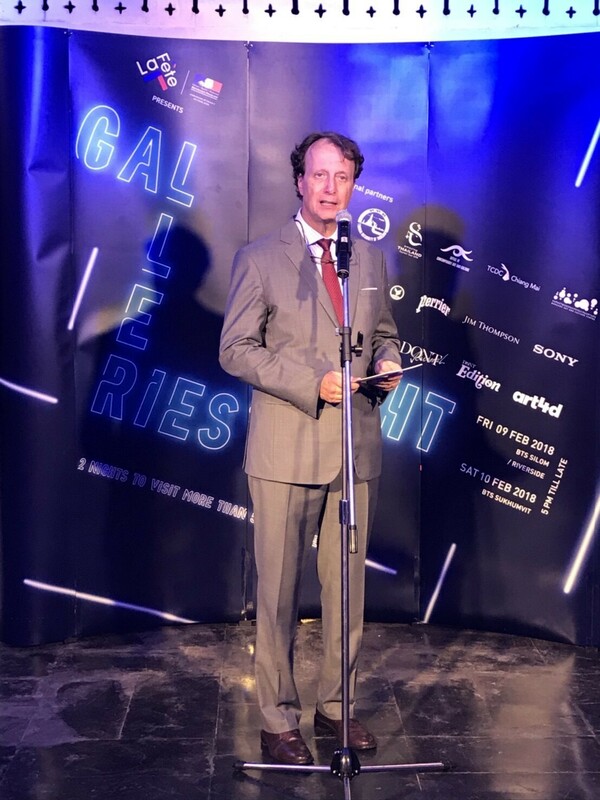 Galleries’ Night, nocturnal urban “ARTracks” dedicated to contemporary art, is coming back for a third edition on Friday 27 and Saturday 28 November. 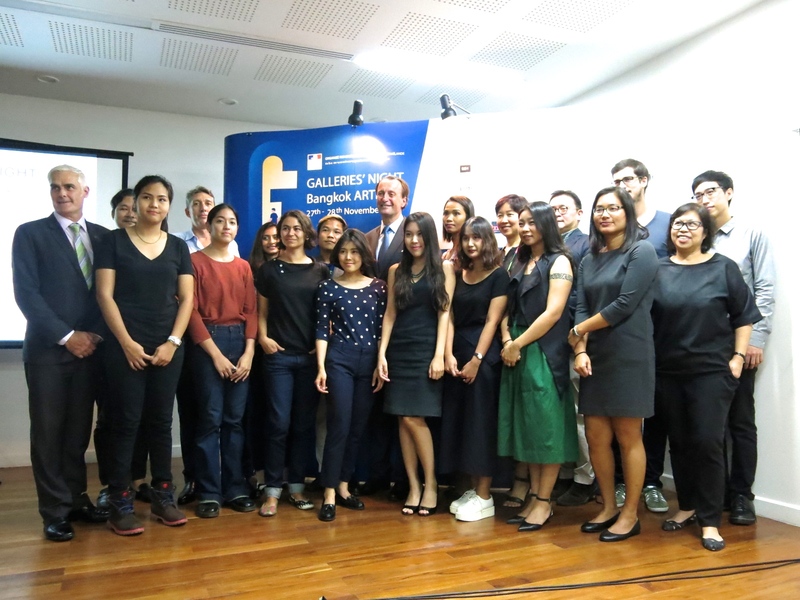 Launched in 2013, Galleries’ Night is nowadays a highlight of the cultural season in Bangkok bringing together, year after year, a larger audience of curious and art lovers. Part of the last two editions of “La Fête” festival, Galleries’ Night is becoming, this year, an independent event, inviting a large audience to discover, to visit and to appreciate contemporary artistic creation for two nights “ARTracks”.